Gene Keys - 64 Names of Love - March 3rd! Full day intensive on Sunday, March 3rd, 10 am to 9 pm at the Anam Cara Yurt in Metchosin, BC - Full details here! 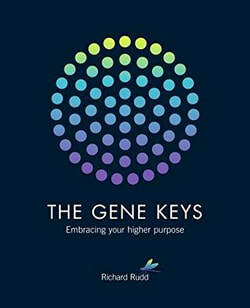 Richard Rudd's brilliant work, “The Gene Keys” provides a wonderful pathway through your own personal Grail Quest to reveal the truth of who you are by delving into your unconscious shadow aspects and transmuting them into gifts to assist you on your journey. ​The “Golden Path” shows you the way and the Gene Keys reveal what lies buried within your unconscious. The three sequences illustrate the four primary gifts that you have through the Activation Sequence, the emotional and relationship challenges you face through the Venus Sequence, and finally your vocation in life through the Pearl Sequence. Your unique Hologenetic profile leads you through all three sequences. The information is absolutely brilliant - the man is a genius - and the Gene Keys contain all the insight and information we need to create a peaceful planet for ourselves and humanity. At the very beginning, some people feel somewhat overwhelmed with the process, and as Peter has completed the Golden Path, attended the Seven Sacred Seals Retreat at Hollyhock (2015), the Venus Sequence Retreat in Romania (2015), the Star Pearl Retreat at Findhorn (2016), and the 64 Names of Love in Victoria (2017), as well as discussed the process with Richard, he is offering full day workshops and a series of 2-hour workshops to set you on your way. Workshops and Retreats can be tailor-made according to the unique requirements of your community. ​Only you can take your own path, but Peter can assist you in getting started and gaining some confidence in your ability to follow through. The ﻿Seven Sacred Seals is a deeply-transformative mystical transmission of the Gene Keys. Richard Rudd has called it the "Permanent Opening of the Spiritual Heart,” and for good reason. It is all about the 22nd Gene Key of Grace. Each of the Seven Sacred Seals calls forth the highest frequencies to assist us in transmuting our ancestral karma through the six lines of our Core Wound. We do this work not only for ourselves as individuals, but for our entire ancestral lineage – those who have come before us, and those yet to come. When we do this deeply-empowering work together as a group in sacred space, it has the potential to heal our collective wounds and thereby transform the world. ​It is the sacred key to our DNA, unlocking doorways to our human evolution. The course does not require extensive knowledge of the Gene Keys, but familiarity with the Activation Sequence is helpful - especially the spheres of your Radiance and Purpose. Unlike other teachings of the Gene Keys, which require us to complete the Golden Path first, those who feel called by the Seven Sacred Seals are the ones meant to come – the only prerequisite is the deep knowing that you are meant to be there. That being said, the Seven Sacred Seals is also a deepening and expansion of the Venus Sequence, so if you have completed the Golden Path, the Seven Sacred Seals can help take you to the next level. Unlike the Golden Path, there is a profound initiatory aspect to the Seven Sacred Seals. This is why ﻿Zia﻿ and Peter have teamed up to facilitate the course, with Peter guiding the evocations of the Seals and Zia guiding the initiation ceremonies. They both attended the original Seven Sacred Seals Retreat with Richard at Hollyhock in 2015. Their contemplation of the Seals has been ongoing ever since, and they have facilitated retreats on Salt Spring Island and Bowen Island, as well as in Victoria and Vancouver BC. Together they offer a gently-balanced, harmonious approach to these ancient sacred transmissions. Click here for Richard's Rudd's Introduction to the Seven Sacred Seals. Peter leads Group Workshops to enable the participants to open up to their heart's calling. Whether this is through Alchemy and Crystals, Contemplation, or understanding the process of the Grand Awakening that is taking place on the Planet right now. The information is current and these sessions can be tailored to the needs of the group or business. deeply with Nature and Mother Earth. Peter gives explanations as to how this particular sacred site fits in with the local and global landscape features, including energy vortices, landscape zodiacs, ley lines, and energy grids. Zia guides us in ceremony to open our hearts and connect deeply with Pachamama and Great Spirit. A deep and profound experience results as we return to the lost art of Pilgrimage and our connection between the Heavens (Celestial Realms) and the Earth. Peter and Zia will hold sacred space for you in some of the most magnificent power spots on the planet - providing a safe environment for you to enter into your own private sanctuary, away from all the noise and distractions of the outer world. You will have the opportunity to step into stillness and silence to connect deeply with your own inner being. You will feel nurtured, nourished, and supported so that you can be at peace within yourself and with the outer world when you return. "Dear Peter and Zia, thank you so much for a wonderful adventure! 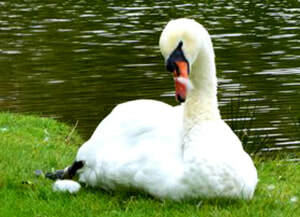 Your loving presence and guidance created a magical and spiritual experience. With all amenities taken care of, which in itself is a treat, all we had to do was soak up the amazing discoveries! Every day was a blessing, shared with others, in a respectful and caring environment. Thank you both for sharing your knowledge and love for life through blessed ceremony and connection with nature. What fun we had! I hope there are many more adventures to come." 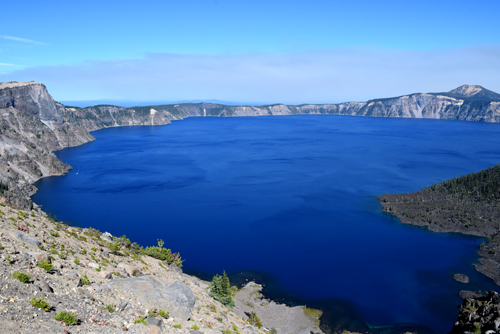 - J. P.
"I have been on many trips but this was my first Sacred Journey to Mystical Mount Shasta. I am so grateful to you Zia and Peter for creating this magical journey. Every day was a new adventure and every night I went to sleep happy and grateful for the blessings of the day. I would accept another invitation to travel again with a group organized by you two in a Heart Beat. 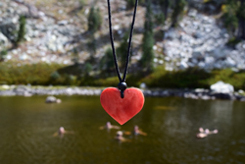 I am smiling thinking of all the laughter shared and I fell into Love with each One in our Sacred Mount Shasta Tribe." 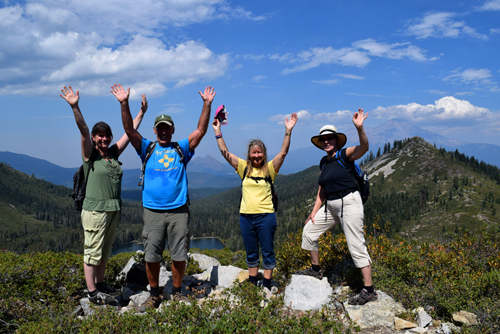 - C. G.
"I've just returned from the most memorable trip I've ever been on, thanks to Peter and Zia and the pilgrimage to Mount Shasta and surrounding energy vortexes like Crater Lake, mineral springs and Pluto Caves. Zia led us in ceremonies and made me aware of the elementals that surround us in life and the respect and awe we need to have for everything connected in this beautiful world, above and below. Peter was a fount of knowledge about every subject we could think of, counselled and grounded us as we went through our "stuff" and organized hikes and drives so that we never had to worry about a thing. Accommodation was excellent, food was lovely (they even went shopping for extra picnic treats, teas, etc. ), and we were in bliss most of the time. I miss my Shasta family!" - J. S.